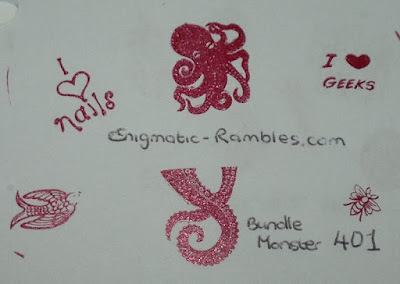 Today I'm starting the reviews for the next bundle monster set, having already reviewed the past three sets. 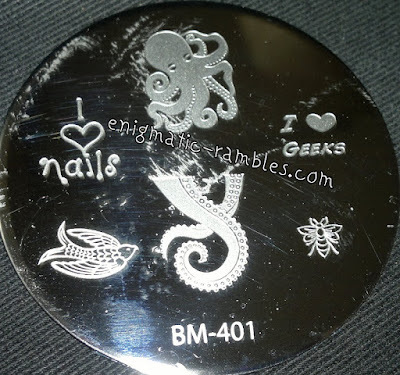 This stamping plate is from the forth Bundle Monster set, the first CYO (create your own). It is backed with branded lining to stop it from being sharp, comes covered with a blue cellophane sticker which you have to peel off before use. On BM401 there are five images. 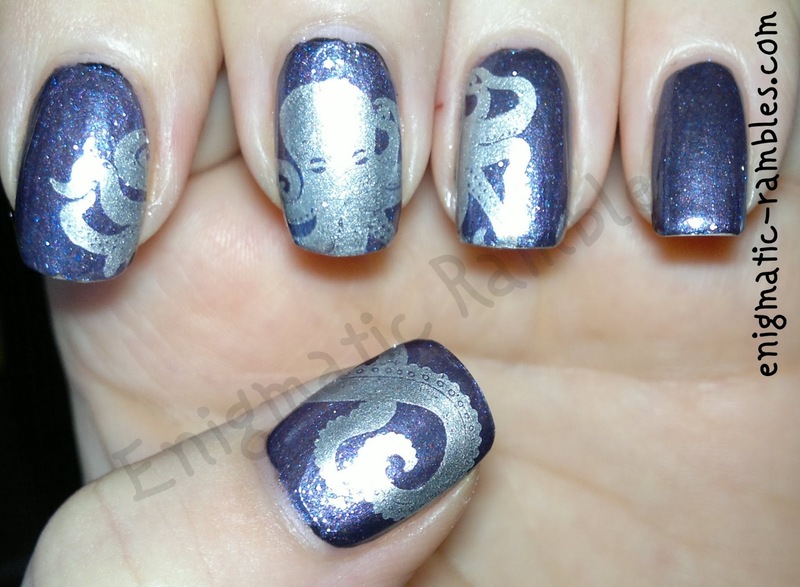 I like the octopus design and have used it. The images stamped easily enough.